At Ortho 101 in Grande Prairie, we offer orthodontics for kids as young as 7. 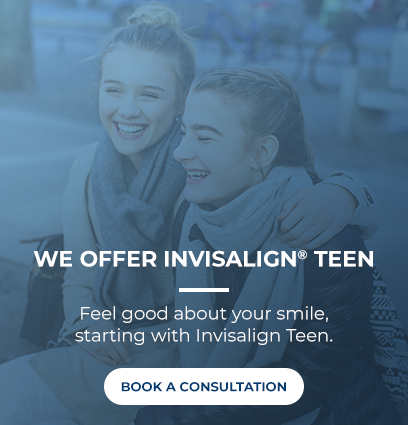 We welcome children to come in for early consultations, as recommended by the Canadian Association of Orthodontists. Orthodontic treatment for children, also known as 'early intervention' or 'Phase I treatment', can begin as early as age 7. At this age, your child's teeth and jaw are still developing and certain orthodontic concerns may be easier to address. When your child is young, they are still growing and developing, so their skeletal structure is malleable, making it possible to modify their jaw development, which may help avoid the need for surgery later in your child's development. By addressing teeth crowding early, we can often help eliminate tooth extractions later in your child's development. At this time, some of the causes of orthodontic problems that develop later in life, such as mouth breathing, thumb-sucking and dental decay, can be treated early to prevent problems from worsening. Phase I Treatment could usually last up to 9 months. During this time, retainers are worn until your child's permanent adult teeth come in later in their life. Treatment takes place while your child still has baby teeth present. After the permanent teeth have come in, we can determine if Phase II Treatment is needed. Most children require a second phase of treatment, but Phase II treatment is considerably shorter and less invasive if your child benefits from early Phase I treatment. That is why it's so important to start visiting us!